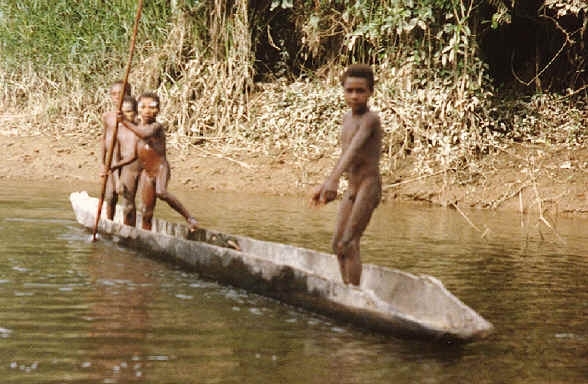 One of the great rivers of the world, with a total length of over 700 miles, the Sepik River is more than just a waterway. It is an essential cultural link for the many peoples that inhabit this vast unspoilt area; it is a symbolic focal point for artistic expression. Known for its specialized religious cultures; the Maio and Yessan people have a yam culture, and Swagup is home to Insect people. 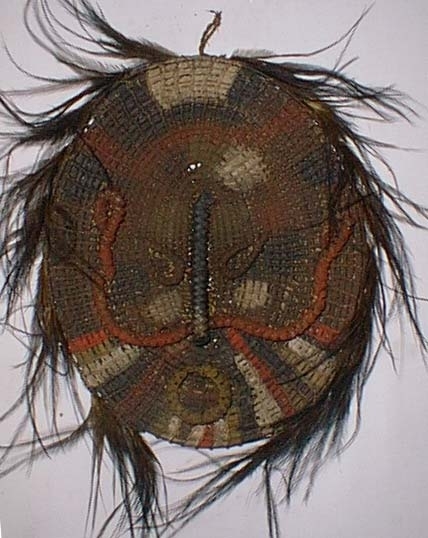 Their artform incorporates the sago beetle, dragonfly and praying mantis. 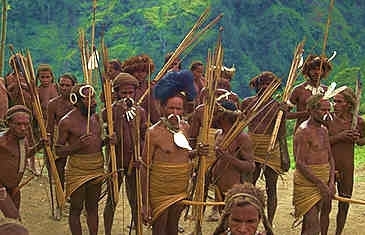 The villages in the region are spread well apart, and each tribe has a separate language which others cannot understand. We will meet some of the local people going about their daily lives, trek through the forest to see the spectacular wildlife, and take trips on small boats with shallow hulls that can easily negotiate the intricate waterways and channels of the region. Along the shores of the river can be found small villages where the locals spend their days carving their wares. 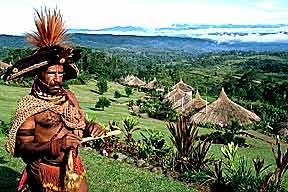 Mt Hagen is the capital of the Highlands, and nestles in the Waghi Valley. The Saturday market is one of the best in Papua New Guinea, and local villagers come from miles around to sell their fruit and vegetables. It is a colorful and exciting experience. 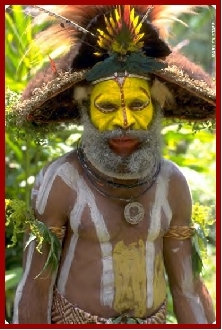 The Waghi Valley is home to the Mudmen, one of Papua New Guinea's many colorful tribes. 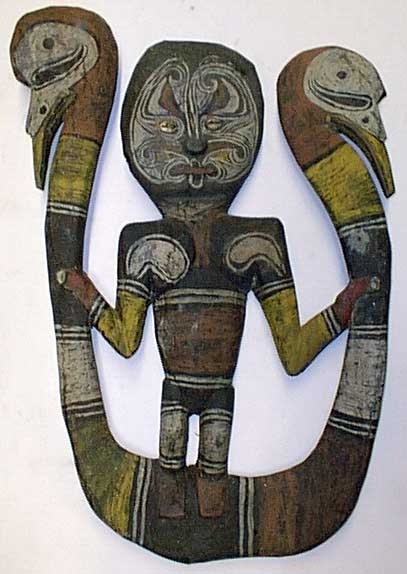 Their bizarre ceremonial dress of clay masks adorn many a poster, and their sing-sings are some of the best anywhere in Papua New Guinea. One hour by road from Hagen is the Baiyer River Wildlife Sanctuary, protecting the largest assortment of Birds of Paradise in the world. You will also see gliding possums, tree kangaroos and over 80 species of butterflies in this stunning location. 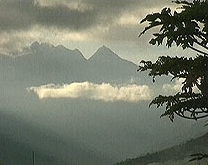 A hiking trek through the forests to the top of a ridge affords incredible views of the forest-covered valleys below. 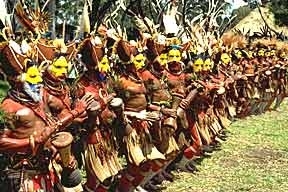 In August, the Mt Hagen Sing-Sing, touted as one of the worlds great anthropological events. Tribes from across the country compete against each other in a massive "sing-sing" competition that occurs only once each year. There is no better sight than to see rival tribes trying to out-do each other in dress, dance and song! It allows the traveler to see many different peoples in close proximity to each other, something just not possible under normal circumstances. Photo-opportunities at the Hagen Show are limitless. Tari, located in the Southern Highlands Province, is the center of the Huli people, one of Papua New Guinea's most colorful and interesting tribes. 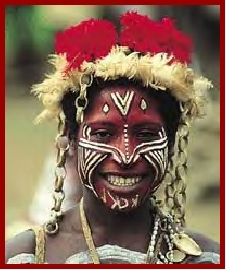 The image of a Huliman, adorned in traditional head-dress and war-paint, is one of this country's most famous. The Huli are also known as the Wigmen, because of their custom of making wigs from human hair. As young men they enter what is known as the Bachelor House, an enclave, off limits to women, where they grow their hair with "magic water" for about 18 months. The hair is then carefully cut and molded into a wig. The tightly packed hair retains the shape into which it is molded. Into the wig are placed feathers, "everlasting flowers" and other paraphernalia; individuals compete with each other to make the most magnificent wig. We stay at the magnificent Ambua Lodge, a surprising oasis of luxury in a sea of wilderness. 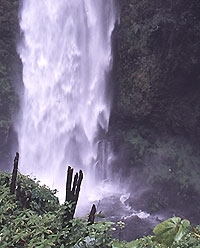 Day trips to the Tari Gap afford you the chance to see Birds of Paradise in their natural surroundings. While in Tari, we take a two day trek. In the evening you will be the guest of a local village, and will be told stories by the headman. With no written language, all folklore is related by word of mouth; the Huli can trace their lineage back many generations, and they will tell you their history back to the original "spirit" that founded their village. 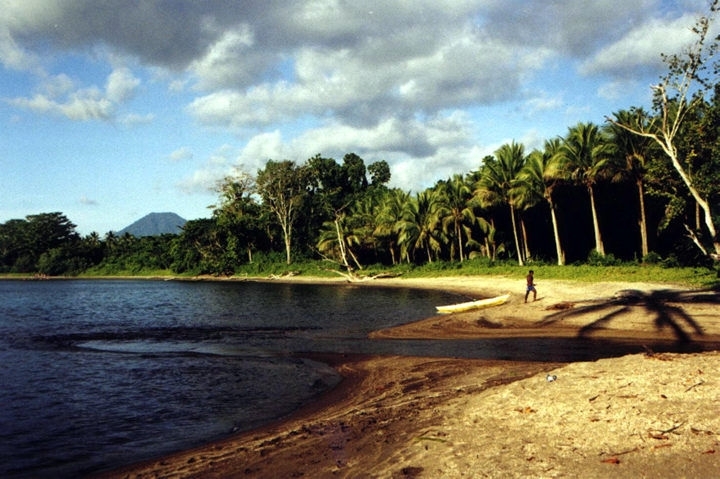 Madang has, without a doubt, one of the most beautiful settings in the entire South Pacific. Nestling within in an island-studded lagoon, surrounded by coral reefs, Madang is your typical picture postcard setting! Up the coast from Madang, in the forest near Alexishafen, is the remains of an American B25 bomber. It is perhaps the best preserved of all plane wrecks in Papua New Guinea. The resort we stay at has quick access to the best dive sites in Madang, most of them only a 20 minute boat ride away. 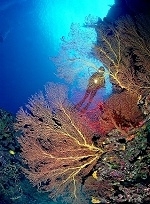 Madang boasts an impressive array of dive sites, from World War II wrecks to reefs and oceanic pinnacles. Day 1 Arrive Australia and transfer to Port Moresby, Papua New Guinea. Transfer to hotel for overnight. Day 2 Flight Port Moresby to Tari, transfer to Lodge, afternoon activities, overnight Ambua Lodge. Day 3 Full day exploration, overnight Ambua Lodge. Day 5-6 Two day trek into Tari country, one overnight in village, one at Ambua Lodge. Day 4 Flight Tari to Karawari, transfer to Lodge, afternoon exploration, overnight Karawari Lodge. 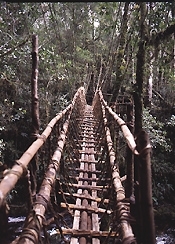 Day 5 Full day excursion, overnight Karawari Lodge. Days 6-8 Transfer by riverboat to join M.V Sepik Spirit for a three night cruise in the Sepik area. Explore this incredibly diverse cultural feast. Day 9 Flight from the Sepik to Mount Hagen, transfer to hotel for overnight, afternoon tour. Day 10 Morning excursion of Mount Hagen to Madang, transfer to Lodge, overnight Malolo Plantation Lodge. Days 11-12 Each day there will be a half day dive with the balance of time free for the many optional activities available, or for relaxing, overnight Malolo Plantation Lodge. Day 13 Flight Madang to Port Moresby, then Sydney, Australia, for connecting international departure flight. Australia extensions available. Papua New Guinea, synonymous with adventure and home to the world's most exotic tribes, is the eastern half of the second largest island in the world. 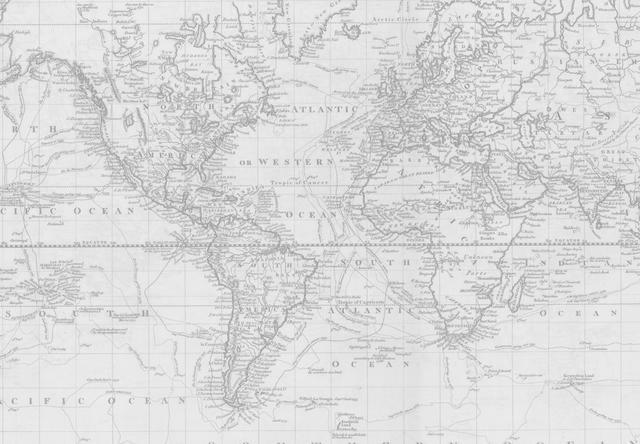 This huge territory sustains a population of only 3,500,000, making it one of the least densely populated countries. 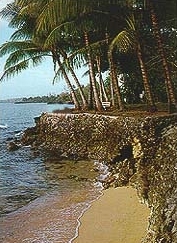 The rugged and mountainous coastline deterred even the most adventurous of pioneers from entering the hinterland of New Guinea. 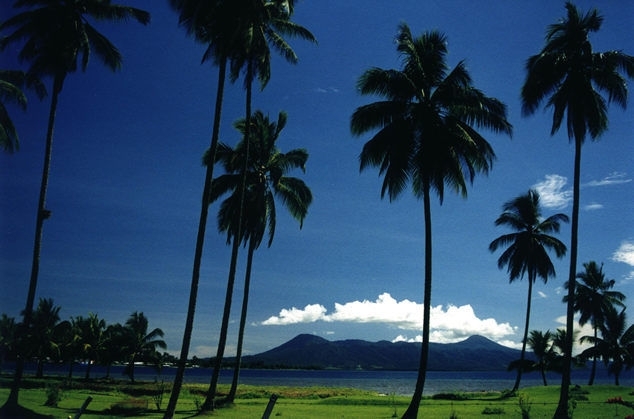 It has only been in the last 60 years that Papua New Guinea has begun to divulge her secrets. 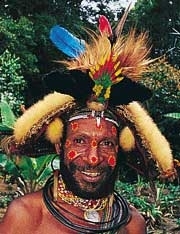 Some 45% of the world's languages are spoken in Papua New Guinea - 706 to date. Even today some tribes have little interaction with each other, despite the fact that their villages may be only a few miles apart!